What is a Site-to-site IPsec VPN and why to use it? A virtual private network (VPN) extends a private network across a public network, and enables users to send and receive data as if their computers were directly connected to the private network. A site-to-site VPN allows offices in multiple fixed locations to establish secure connections with each other over a public network. Site-to-site VPN extends the company's private network, making computer resources from one location available to employees at other locations. An example of a company that needs a site-to-site VPN is a growing corporation with dozens of branch offices around the world. In the example below we will configure two routers that will serve as both Internet routers and terminate site-to-site VPNs. Users sitting behind these routers must be able to reach other site and any new networks provisioned in either site should be advertised to the router is the opposite site automatically. Users in either location must only be allowed to access the site using approved protocols such as FTP, HTTP, DNS, etc. Lastly, each router must be configured for a firewall to protect the device and users from Internet attack without impeding the ability to establish a site-to-site VPN. Step 3: Configure a crypto ipsec transform-set, crypto ipsec profile, crypto map, and access-list on R1 and R2 allowing only the local traffic to the remote network across the site-to-site VPN. Step 4: Configure the tunnel interface and assign the crypto map the WAN interface that will establish the site-to-site VPN. 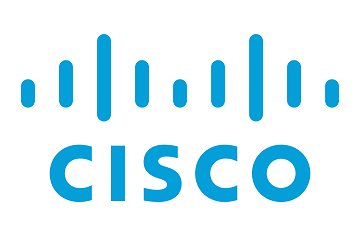 Step 5: Configure a EIGRP routing process on each router advertising local networks and tunnel networks. Step 6: Configure the applicable security zones and assign them to Interfaces including tunnel0. Step 7: Create a class-map, policy-map, and zone-pair to allow traffic from the local LAN to the Internet. Step 8: Create two access-list, a class-map, policy-map, and zone-pair to allow traffic from the remote VPN router over the Internet into the self zone to establish the site-to-site VPN. Step 9: Configure a policy-map and zone-pair to allow traffic from the local LAN to the site-to-site VPN. We will make use of the preexisting class-map called LAN-ALLOWED-PROTOCOLS. Step 10: Configure a zone-pair to allow traffic from the site-to-site VPN to local LAN. We will make sure of the preexisting policy-map S2SVPN-POLICY and class-map LAN-ALLOWED-PROTOCOLS. Now that the configuration is finished lets verify the configuration. 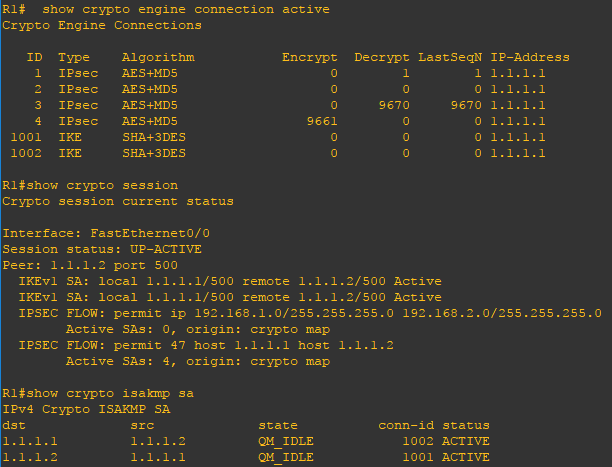 Using the show crypto engine connection active, show crypto session, show crypto isakmp sa, and show crypto ipsec sa commands you can verify the VPN deployment. You can also use the show ip route and show ip eigrp neighbors command to verify dynamic routing is properly working. Lastly, use the ping command to verify connectivity from PC1 to ping PC2.